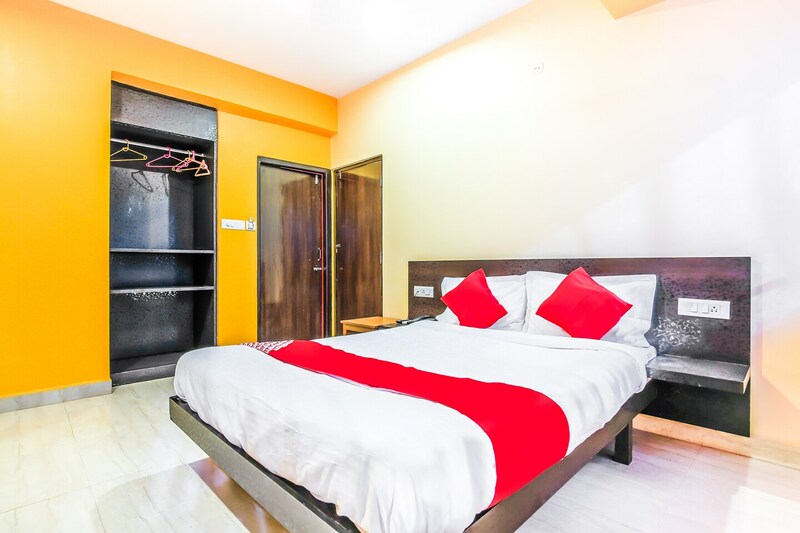 Hotel Ashirwad is a homely property which offers a pleasant stay in Porvorim, Goa.Museums like The House of Goa and The Museum of Goa lies close. Other attractions nearby include the St. Alexs Church, Reis Magos Fort, and Guirim Pokolim. The bright walls complimented with sober shades make for a perfecr vacation stay. An in-house restaurant lets you dine-in, instead of hunting for a good option each day. The amenities offered include AC, Wi-Fi, TV, Parking Facility, Power Backup and CCTV surveillance.Popular restaurants in the vicinity include Copperleaf Restaurant, The Yello Chilli, Chef Peters Kitchen, and O Coqueiro. Mall De Goa is a short drive from the hotel.